€ 1 per person and day (depending on occupancy). Final cleaning included. Holiday resort tax. Linen/towels available (beds are ready-made upon arrival). Deposit € 750 (Visacard, Mastercard). Cot/​High chair only within the maximum occupancy, free of charge (on order). Pet 2 animals allowed (please advise prior to arrival). The agent describes this house as a family friendly holiday rental ideal for the summer holidays. It is also good value for money. 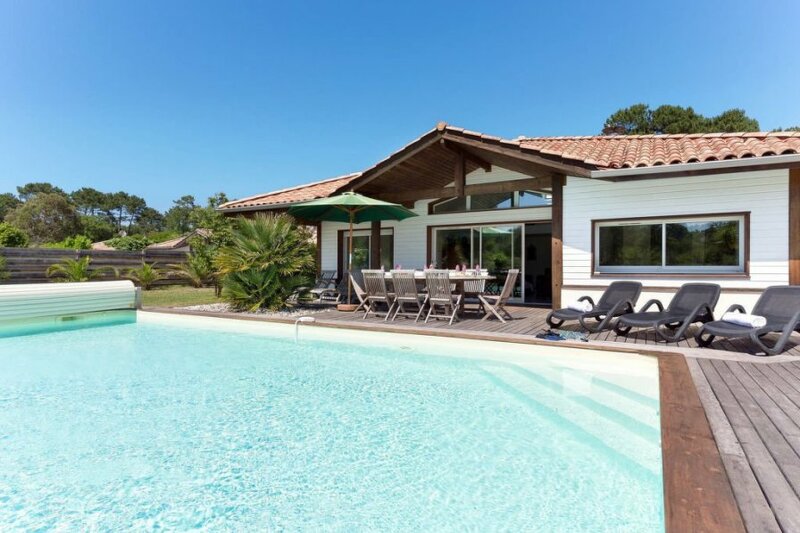 The house has a private pool and is located in Moliets-et-Maa. The nearest airport is 73km away. It is set in a very convenient location, just 0 metres away from a beach and only 2km away from the city center.